Always taking care of the quality of each of our products, in Enrique Tomás we offer you the four most common varieties of cheese in Spanish gastronomy according to the type of milk used in its preparation. You can choose between the classic cow cheeses, produced mainly in green and wet areas with large areas of pasture such as Galicia, Asturias and Cantabria. As a rule they are soft and creamy, with a very popular flavor among diners. Those of sheep also occupy our offer, we find them mostly in drier areas such as the Basque Country, Navarra, Castilla y León, Castilla La Mancha and Extremadura, since the sheep need less grass. This cheese is usually more aromatic, acidic and salty than cow's cheese and contains more proteins and vitamins. They can be tender, semi-cured, cured or aged. An alternative that has become very popular are the goat cheeses, more typical of Andalusia, Levante and the Canary Islands. They tend to have a stronger and acidic taste and are notable for their white color, they are more digestive than cow's cheeses and contain less calories and saturated fats. To close our alternatives are the mix, which use two or three milks in different proportions to enhance their various nuances and lead to a unique taste product. Whether you choose for the Jamón-ham or Paleta-ham shoulder, or our featured dry-cured meats and cheeses, the truth is that each product that you buy in Enrique Tomás has our quality seal that guarantees that every product we sell has been produced taking care of the smallest detail. 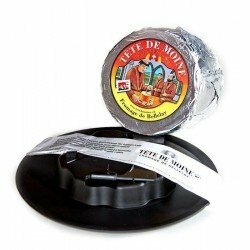 The result is a cheese, a ham or a dry-cured sausage that you will enjoy eating along with the best wine. Any product can be tasted alone or accompanied by bread or on toast. No palate can resist such delicacies!